- Russia harvested 157.6 million m3 in 2017, representing a 14.4% share of global softwood timber (log) production after having passed Canada in 2014 as the second-leading producer (behind the U.S.); - Russia is the third-largest softwood lumber producer (37.8 million m3), representing 11.1% of worldwide production; - Russia ranks second in log exports at 11.9 million m3 (14% global market share, ranking behind New Zealand); and - Russia is the second-largest lumber exporter with 28 million m3 (22% global market share, ranking behind Canada). The Russian forestry and sawmilling industry has become a much greater competitive force in log and lumber export markets since the late-2014 devaluation of the ruble. In recent times, the country’s industry has undergone a rapid change and is now seen to be remaking itself into an influential worldwide competitor. Today, with global markets becoming increasingly competitive, it’s more important than ever to truly understand the changing competitiveness and strategy of the Russian industry and its exporters — particularly given its expanding role in the ever-significant Chinese market. The cost-competitiveness of the Russian industry was once considered bleak. This was back in 2012–14, when high costs, constrained road and rail infrastructure, and prevailing poor forest logistics were responsible for an inability to access economic timber. 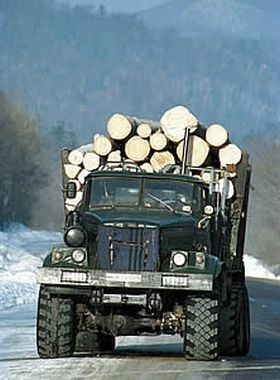 With many Russian forests comprising a mixture of hardwood and softwood (particularly in Siberia), the lack of markets for low-grade hardwoods (particularly aspen/poplar) hampered the economics of processing mixed stands and led to escalating logging and road costs. The outlook was also dimmed by the lack of new investments in sawmilling during the early 2010s. In late 2014, however, the weakening of Russia’s currency significantly brightened the picture for investing in the forest products sector, ultimately leading to peak earnings in 2015 and early 2016 when the ruble’s devaluation was most extreme. The subsequent strengthening of the ruble, however, worked in combination with increased log prices to create a state of inflation in 2016 and 2017 that eroded Russian exporters’ competitiveness. Nevertheless, the considerable investments made by many companies to lower logging and sawmilling costs were able to improve the sector’s overall financial and export market position. The good news for Russian producers today is that the ruble began to weaken again early this year; in mid-September, as we write this report, it is approaching 68–69 to the U.S. dollar. Its improved competitive position in international markets has enabled Russia’s wood products industry to expand, as evidenced by 11% growth in the index of industrial activity for woodworking in the second quarter of 2018; in June alone, it grew by 15% (more than any other processing industry in the country). The importance of export markets cannot be overstated, and is especially evident when one considers that this strong growth is in sharp contrast to a decline in the rate of housing construction within Russia in 2017 (down 0.7%, according to the Ministry of Construction, and down 2.1%, according to Rosstat) and a reduction in furniture output. In other good news for the Russian industry, prices for commodities and exchange goods on world markets recently reached their highest peak of the last ten years, with the price of Russian spruce sawn timber from the Northwest achieving a level of $285/m3 (#1–4 SF 30x125/150, Shanghai port) at the end of 2017. By comparison, prices for Finnish spruce sawn timber (#1–5 sawfalling grade) in China reached $295/m3.